What a fantastically sad ending!! Not a crying one, but one that really kicks you in the gut because of some characters actions to what they thought was a problem that wasn't going to be a problem at all. Wow, so many suspects. Or may there were just one or two or many unknowingly helping in the demise of the victim. Or may there was just one attempt at murder that got the wrong victim. Or maybe it was just an accident after all. These are just some of the thought going through my head while I was reading this excellent read. 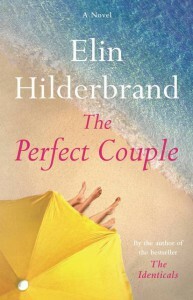 I have read several Elin Hilderbrand books and I cannot recall ever reading a mystery by her. If this actually was her first attempt at a mystery, she did an excellent job!! Thanks to Little, Brown and Company and Net Galley for providing me with a free e-galley in exchange for an honest, unbiased review.